With just a few short weeks remaining until Adepticon, I was getting rather antsy about the fact that the trio of dreadnoughts I'd ordered back in January had yet to arrive. They'd been stuck in customs hell for nearly two weeks but were finally deemed not to be a threat to national security and the box arrived looking as though it had spent some time on a 40k battlefield! 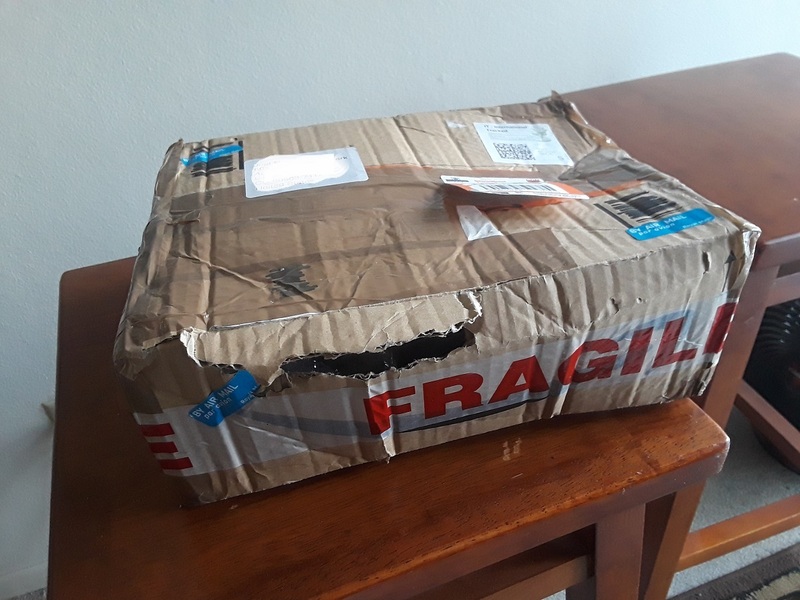 With some trepidation I opened the box and was relieved to find everything present and accounted for, with no obvious breakages. Bubble wrap to the rescue! While I'd ordered up a fair few dreads (some for a few hobby buddies, some for prize support at Adepticon and some for myself) I only pulled and washed the trio immediately needed for the project. The updated kit is tremendous, several new tweaks to the main body and a set of heavy weapons matching the old school look were all much appreciated! 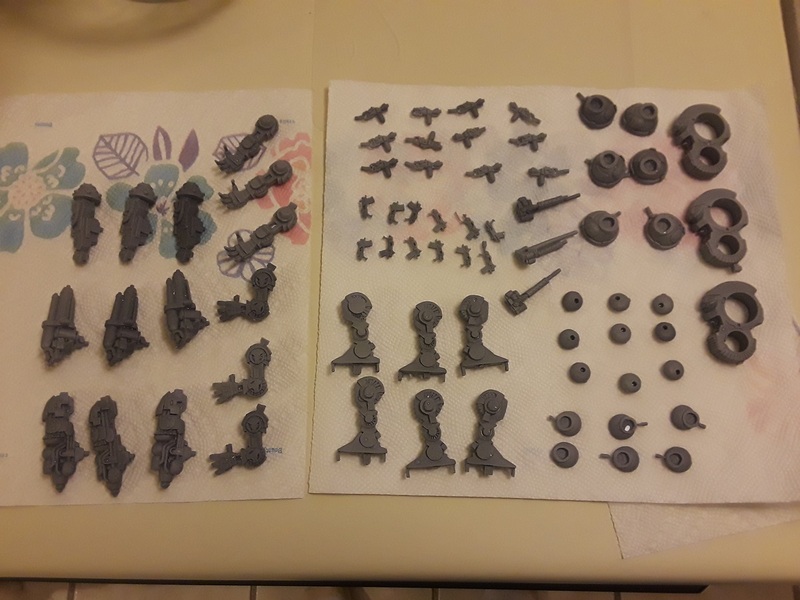 Once they were washed and dried, I got cracking getting 'em built - Went through and magnetized the right arms on all of them to allow for the full gamut of weapon options including a lascannon, missile launcher and conversion beamer! Can't wait to get some paint on 'em, though it's gonna be a challenge getting them primed as it's been well below freezing for the last several weeks here. Oof! 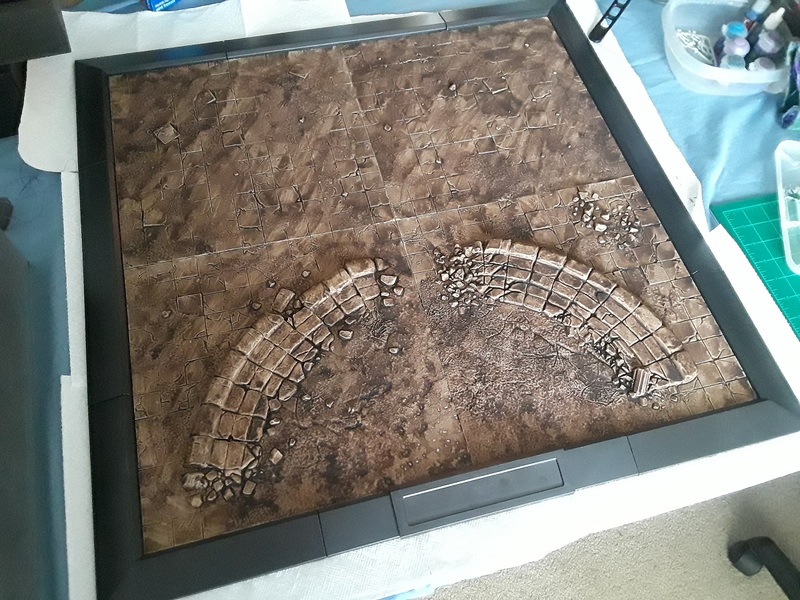 In other news I got cracking on a display board for the force, taking advantage of the sale Secret Weapon Miniatures has been running on their tablescape tiles. While I love the look, I am not convinced that the board is structurally sound enough to use as a carry board between tables, and am looking to mount the board on some MDF for added stability. We'll see how it goes! 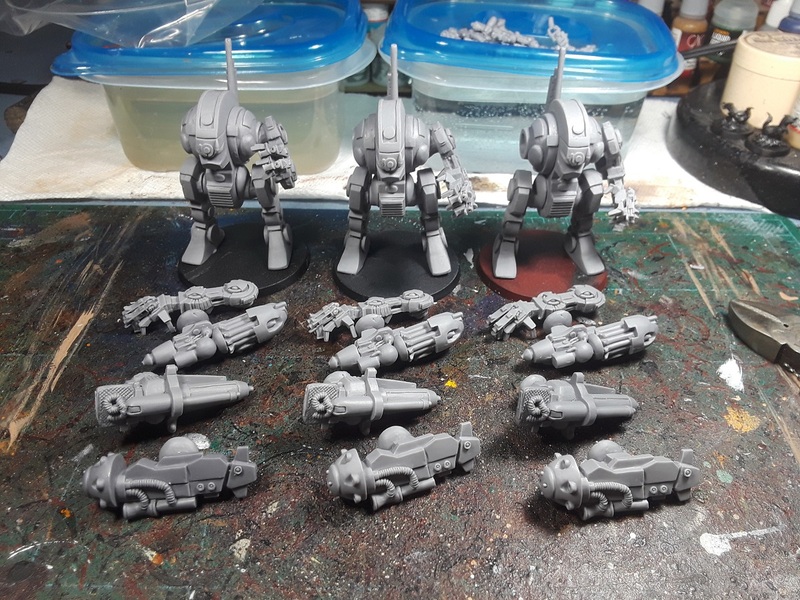 Hi, where did you get those dreadnaughts from - they're the fan-based versions I've read about? I get them from @jpminis on instagram, he doesn't have a webstore so it's mostly just a matter of contacting him on there to work out an order. Cheers! I remember the original miniatures from the '80's, awful they were, absolutely awful. Not so much the appearance which is very nostalgic but the fit of the mini itself, you needed so much putty and glue. Indeed! Awesome, gotta love the old stumpies! Indeed - They're modern contemptor-sized embiggened RT-era dreads. Woo! As wonky and ungainly as they are, I really do love that design.